Egad, y’all. Kirby has a shirt that looks like a Lego Friends ad for his CE campaign. 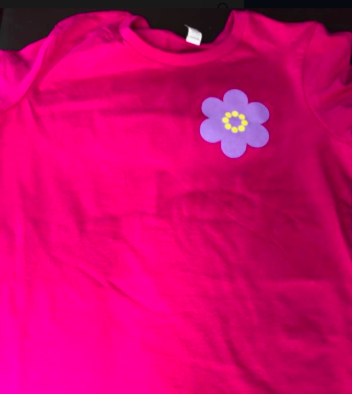 It is fuchsia and has a stylized purple daisy on it, symbolizing sexism. 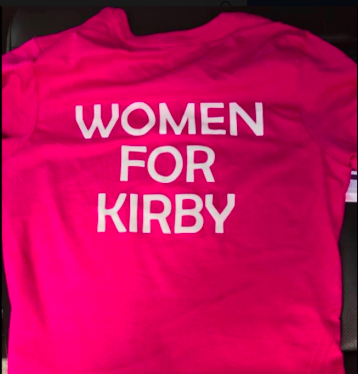 We are super excited for the unveiling of his Men for Kirby shirt, which we guess will be blue and we hope has a Hot Wheels, or a Spiderman, or a Thor, or some other boy nonsense, instead of probably a handgun. Have a look. This almost makes us miss his Massengil themed page. Previous postVote for your favorite Yokels! Next postWorld of NO, Shrelauter and clown. We need brains.